New Delhi: Traders and dealers who have not completed their registration process can continue to do their business under the GST regime from 1 July using the provisional ID, a top government official said. The 15-digit provisional ID would work as the Goods and Services Taxpayer Identification Number (GSTIN) for the first initial few months, Revenue Secretary Hasmukh Adhia said. 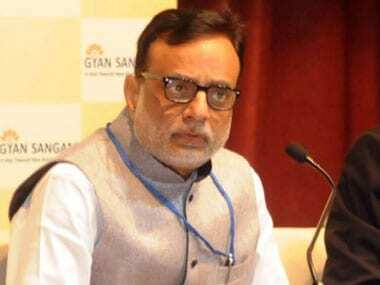 In an interview to PTI, Adhia sought to assuage industry concerns about the GST registration process saying that businesses need not panic and need not rush for registration as the dealers and traders who have secured a provisional ID can conduct business in the new indirect regime. "You can continue to do your business using the provisional ID and quote the GSTIN in all businesses. They will not have to wait for final GSTIN to come. Even if they have not given their details fully, from 1 July they can continue their business. People should not panic," he said. Of the 80.91 lakh excise, service tax and VAT assessees, 65.6 lakh, or 81 percent, have already migrated to the GSTN portal. However, of this 65.6 lakh, as many as 13 lakh business have not completed the second stage of the registration process which entails the verification process. When a business registers under GST, it is given a provisional GSTIN. After that, in the second stage, the business has to log in to the GSTN portal and give details of its business, like the main place of business, additional place of business, directors and bank account details. Adhia said the government has done away with the requirement of verification of registration through digital signature, or by generating electronic verification code (EVC). "They don't have to give digital signature or e-sign it now. They can just save it and automatically an e-mail will be sent to them saying all their details are received and it is complete. Once they have saved the details, they will have no other worry. Even if they don't receive the e-mail immediately, they don't need to panic. They can still continue to do their business from 1 July," Adhia said. However, the details should be given to the GSTN portal "as early as possible". Adhia said that the registration of new businesses will start from 25 June and they will have 30 days time for registration. The window for taxpayers wanting to migrate on GSTN portal will open on the same day. "They should not rush on the same day on 25 June. We would appeal to all to keep their papers ready and do it in time," he said. The biggest tax reform since independence, GST will be rolled out on the midnight of 30 June and make India a single market for seamless movement of goods and services. The GST subsumes 16 different levies, including excise, service tax and VAT.